One senior proved that personal connections can have a powerful impact upon both a student and a school. In her four years at UCLA, psychology student Jennifer Ellingwood became an integral part of the campus community. Her tireless devotion to community-building made her an invaluable asset both to the university and to the hundreds of Bruins who benefited from her guidance. Ellingwood began involving and immersing herself in life at UCLA early in her college career and, over time, her efforts have aided many. Residents of Hedrick Hall and Rieber Terrace were the first to benefit, as Ellingwood became a Floor President and then the Social Chair of her building. Ellingwood actively participated in numerous groups and organizations, committing countless hours to a number of significant causes. As she explained, “I have learned that even though I am one undergraduate here at UCLA, I can get involved in various groups that help many others.” This help was greatly appreciated by the residents of the Saxon Suites, where Ellingwood worked as a Resident Assistant. Consistently going above and beyond the call of duty, Ellingwood worked diligently to “create an inclusive living-learning environment for residents through upholding housing policies and creating programs to engage residents.” During her time as a Resident Assistant, Ellingwood developed close relationships with many of her residents and acted as both a counselor and a friend. As apparent from her activities, the wellness and welfare of students was of great importance to Ellingwood. 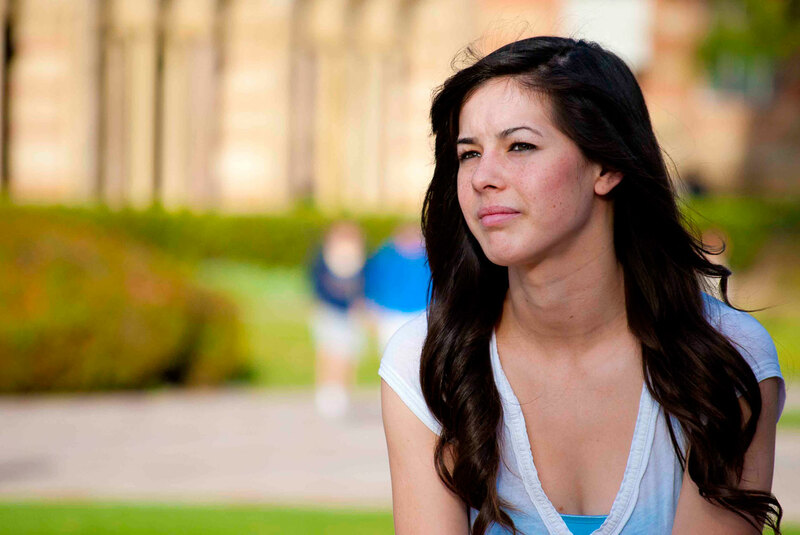 For two years, she helped new students transition and develop a love of UCLA in her role as an Orientation Counselor. Further seeking to instill UCLA pride, Ellingwood both worked with the Blue and Gold program as an Athletics Recruiting Assistant and helped to educate athletes as a Covel Peer Learning Facilitator. She provided additional aid and tutelage to her peers as a teaching assistant in the Graduate School of Education and Information Studies. “I believe in putting my whole heart forward in every interest and activity I am involved in,” Ellingwood confided. In all ways possible, Ellingwood made every effort to encourage and educate fellow students. Education was of immense importance to Ellingwood, as confirmed by her impressive academic record. The psychology student earned a stellar 3.97 GPA, while also completing a minor in education. When asked about her philosophy on academics, Ellingwood responded, “I believe that having integrity is essential to success and developing as an ideal person. I have done this by never compromising my ideas in any academic situation.” This academic success contributed to Ellingwood’s induction into three UCLA honor societies. Ellingwood took full advantage of the educational opportunities UCLA provided and urged other students to do the same. “Learn everything you can. You are at a university with all the resources possible. Learn about yourself, others, and the world,” she imparted, speaking from experience. In addition, Ellingwood challenged peers to think outside of themselves and to actively explore the world. For example, she became a part of the Pediatric Aids Coalition and, for four years, participated in Dance Marathon at UCLA. After being elected to the Dance Marathon committee, Ellingwood was able to do even more for the cause, and she remarked that “being on Dance Marathon committee has taught me how it feels to put something bigger and better ahead of you and to put so much time and effort into cause that makes a difference.” Ellingwood certainly made a difference–she ultimately raised over 1500 dollars for the cause. Ellingwood planned to continue to pursue excellence even after graduation. “I hope to attend graduate school, and maybe get a MA in student affairs or higher education,” she said, noting her interest in a program at New York University. She then planned to return to California after earning her degree and either start a career in student affairs or become a doctoral candidate at UCLA. For those students just beginning their time at UCLA, Ellingwood offered some important advice. “Get involved. Have fun. And learn. 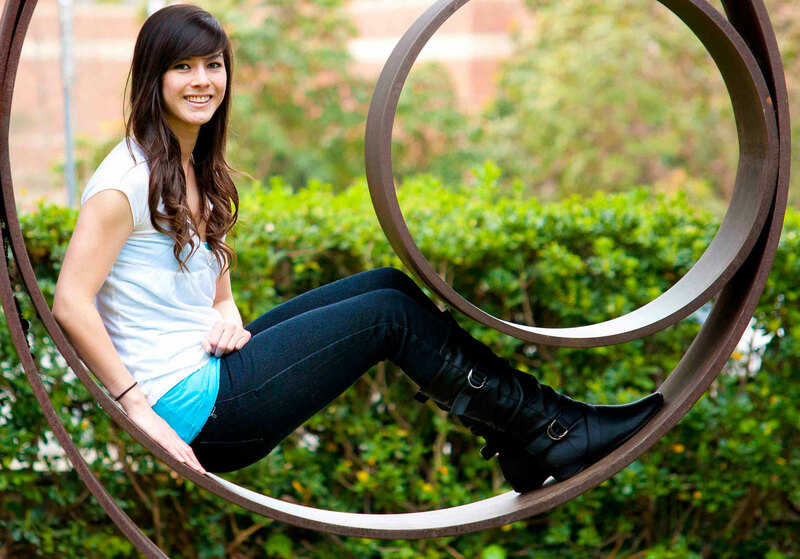 Be yourself and enjoy being a True Bruin at UCLA. This is a place where you can grow and learn in many different ways,” she counseled, her suggestions backed by her own incredible experience. Ellingwood’s guidance aided many and assured them that “no matter how small or insignificant you feel, anyone can make a difference if they try.” One senior certainly tried, and the difference she made in the lives hundreds of Bruins was great.